We are offering our clients with Fuel and Fireside Cleaning Chemical. Formulated using supreme quality required basic ingredients, this offered chemical effectively keep burners and furnaces protected from corrosion, scale & carbon deposits and makes emission of the stack clean. Gujarat Aquatreat Chemicals Pvt Ltd.
Reduce fouling, Increases ash fusion temp, for reduced clinker. Keep heating surfaces clean to facilitate efficient heat transfer. 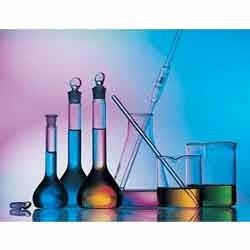 Incorporated in the year 2009, we, 'Gujarat Aquatreat Chemicals (P) Ltd.', hold expertise in manufacturing and supplying a significant gamut of Water Treatment Chemicals and Fuel Additives. The offered gamut comprises Magnesium Sulphate, Magnesium Oxide, Liquor Ammonia, Hydrated Lime, R.O.Chemical, Industrial Cooling Water Chemicals, Chemcjin 251 Polymer, Swimming Pool Chemical, Swimming Pool Purification Chemicals and Boiler Water Treatment Chemicals. Along with this, we provide sothiazolinone, Organic Chemicals, D.B.P., Chromic Acid Flakes and many more. This offered gamut is formulated by making use of supreme quality required basic ingredient, followed by comprehensive R & D. Furthermore, we have made the offered gamut in different packing quantity so as meet divergent demands of the clients. We are backed by a cream of crop professionals and state-of-art infrastructure setup, which makes us to meet requirements of the clients with the best product-gamut. Furthermore, we carefully execute entire business related activities while taking into consideration benefits of the clients and ethics of the business. It is due to our product-gamut and client-centric approaches; we have been able to surpass expectations of the clients situated across the markets of nation.